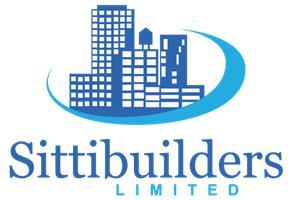 Sittibuilders Limited - Builder based in Eurolink Business Park, Kent. Sittibuilders Ltd are a family built business over 20 years ago and are proud to be one of Kent's leading general builders and new house builders. We are based in Sittingbourne and take on small and large building projects across whole of Kent. We provide top quality results for both domestic & commercial clients.We have been in business for over 20 years and run a team of professional tradesmen and take pride in offering our clients the complete package. We offer free no obligation quotations and only the finest bespoke advice. Our performance is consistently high, we always meet the National House Building Confederation standards, further demonstrating our commitment to the best building contractors in Kent and offering the best in customer services. Our projects include speculative house building and extensions. Also large and small home renovations. We also design and build ‘one off homes’. Sittingbourne Medway Maidstone Bexley Canterbury Thanet Ashford T/Wells Sevenoaks & whole of Kent.